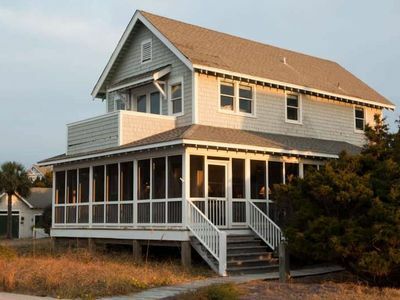 Do you want to vacation in a property where you have great ocean views, access to the beach which is 50 feet away, and the owner lives locally, keeping a close eye on updates and repairs? 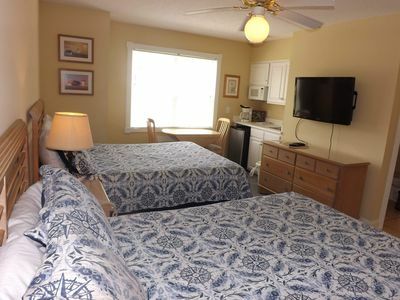 We want you to feel like our condo is equipped like you would furnish it, with updates in rugs and furniture and bedding. We supply enough glasses and dishes to fill up the dishwasher. And who wants to cram beach equipment in an already over packed car? We wouldn't. 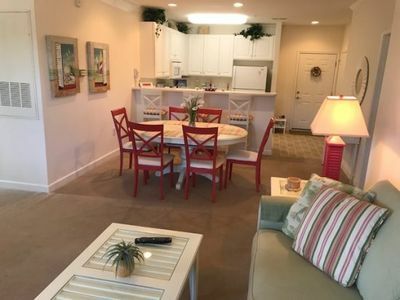 You'll find six beach chairs and an umbrella in your private closet by the beach. When its time to watch TV or play videos, we like to watch on a high quality Samsung. That is why there are two available for you. 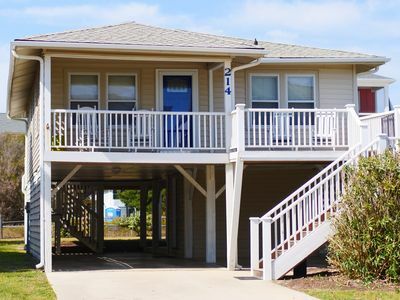 And the ocean views and convenience, well they speak for themselves. 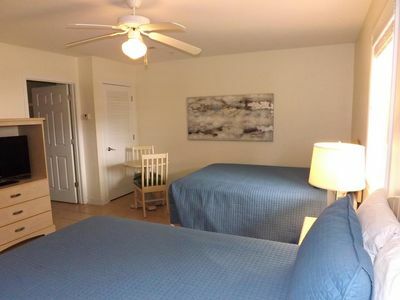 The floors in this ocean front condo are tiled through out including bedrooms.The queen sleeper sofa is a 2014 update and the two additional sleeping spaces the sofa provides have not been added to "sleeps six" quote. But it is an added convenience. The kitchen granite counter tops and tile back splash were installed in 2015. Granite was added to the bathrooms in 2016. And in 2017, we replaced all the mattresses with new luxurious pillow tops and living room Samsung TV. In 2018, we replaced the tubs and added new tile in both bathrooms, added a new living room sunbrella covered chair, rug, and bedspreads. The black out curtains in addition to wooden blinds add comfort to your night's sleep. The condo provides secured WIFI. 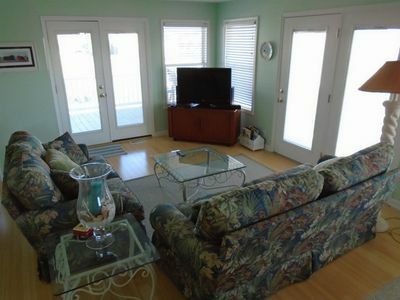 You see, we want to continually improve on this property, for convenience of our renters. 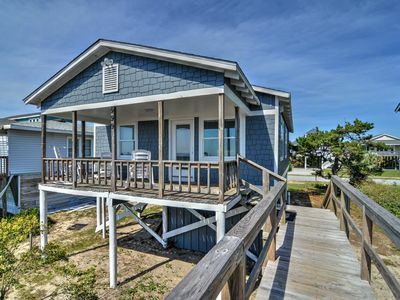 Would you like to stay a month in the off season? For a month the rental pricing is $2200 in October, $1600 in November, $1300 in December, January and February and $1400 in March. 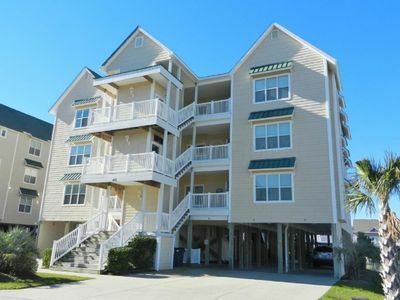 ( Listed fees are in addition to the rent.) Come stay for awhile! Beach Wheelchairs are available at no charge on a first come first serve basis. 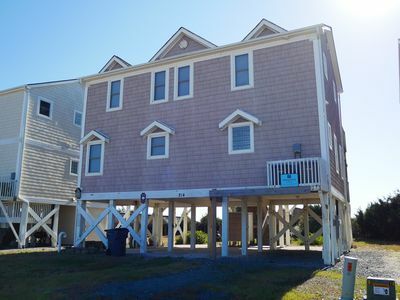 They can be picked up and returned at the OIB Planning and Inspections Department (8am-4:30pm). 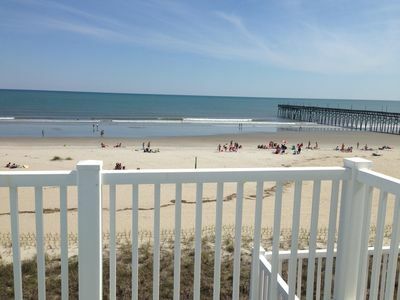 On weekends and holidays they can be picked up at the OIB Police Department. For additional information contact the OIB Planning and Inspections Department. 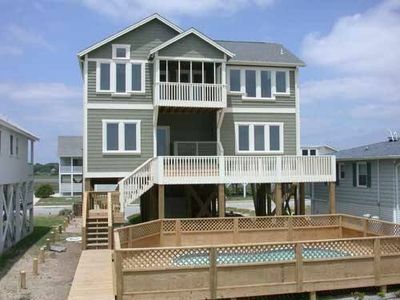 Ocean Isle Beach is a family beach. Once you cross the bridge and smell the salty air, you will immediately know it is time to chill. 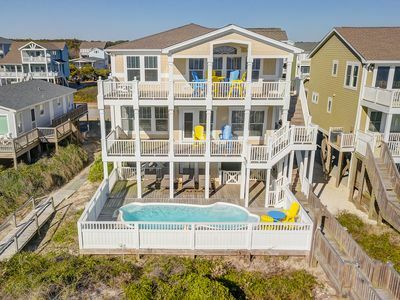 With the mild season changes, Ocean Isle Beach is the perfect location for year-round vacationing. 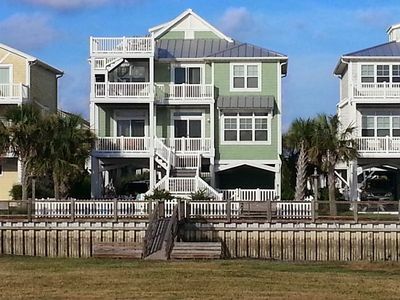 Activities are limitless whether you are looking for shells, golfing, dining, fishing, shopping, turtle and dolphin watching or night-time crabbing. 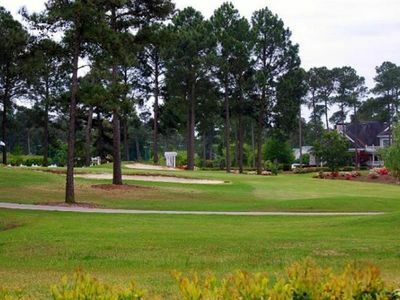 If you want to leave the island, you will find limitless golf, or in 45 minutes, you are in Myrtle Beach with outlet shopping. 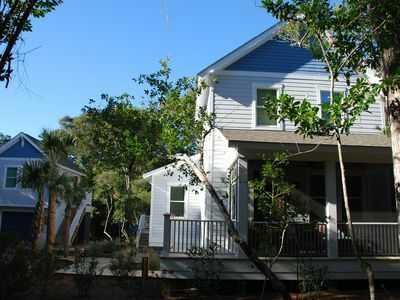 Ten minutes from the condo is Calabash, which is the seafood capital of the world. But you can also pick up fresh shrimp and fish from Captain Jacks and enjoy a fine meal in our well stocked kitchen. Better yet, the Isles Restaurant has ocean front dining after a five minute walk down the beach. Why wait? 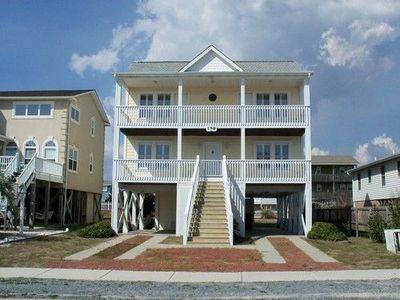 Oceanfront, private elevator, 4 bdrms, pool, hot tub, close to everything! 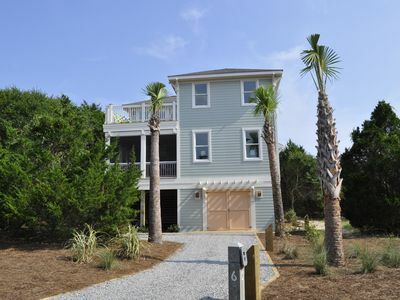 Close to market and beach! Great for kids. 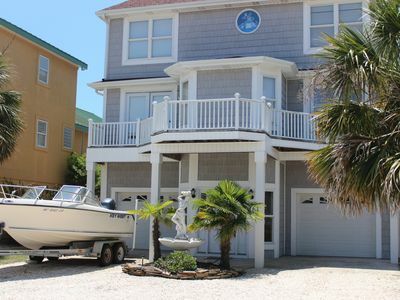 $250 per night in the off-season! 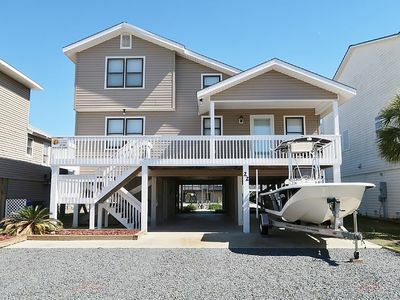 Lovely Ocean Front Home with 4 bedrooms, 3 1/2 baths and two Ocean Front Decks offering spectacular views of the Atlantic! 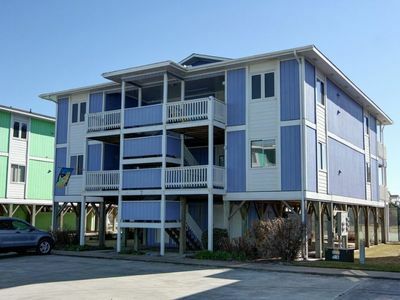 E2 160, This large property is fun for the entire family, built for the perfect vacation.